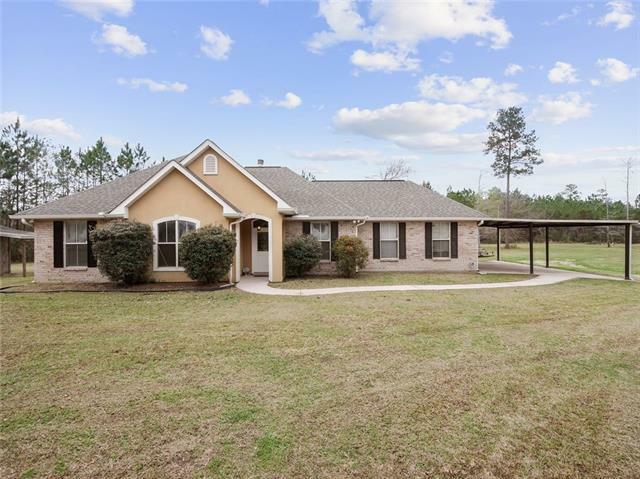 Charming 4 bedroom, 2 bath home on 2 acres just outside of Abita Springs. Noteworthy features are wood floors in the living room with wood burning fireplace and granite counters in the kitchen. Spacious master suite has attached bath with a hydro tub and separate shower. 2 car garage has attached carport, covered patio at back of house, and solar panels installed for energy savings!